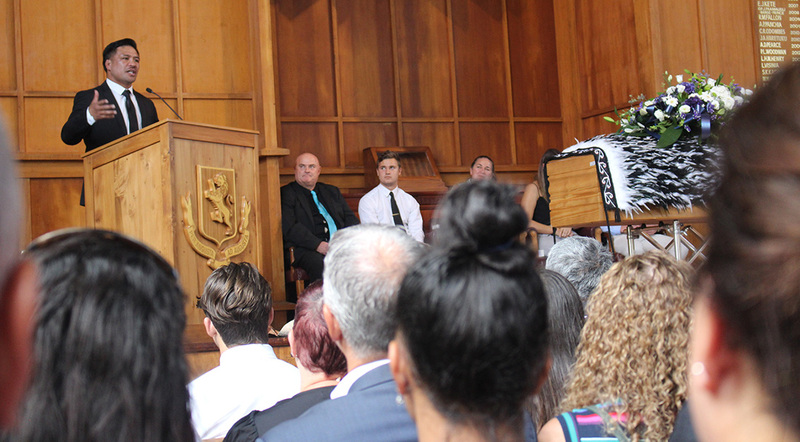 School House Director and First XV Rugby Coach Mr Geoff Moon was farewelled today by family, friends, colleagues and students past and present. Mount Albert Grammar School’s F.W. 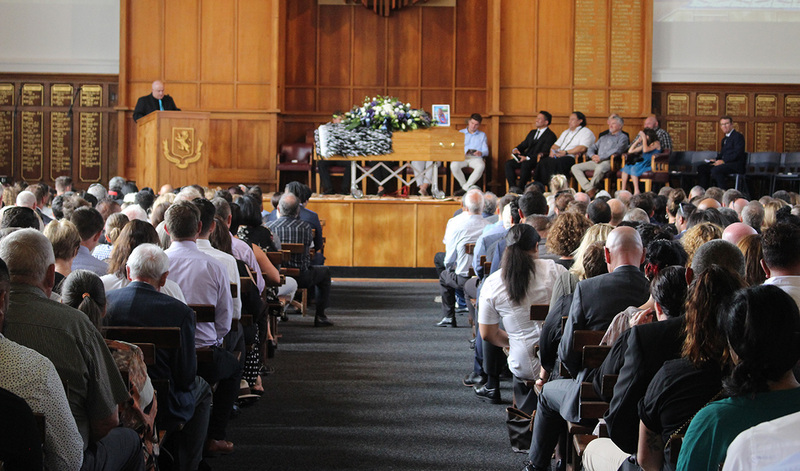 Gamble Hall was packed out for the funeral service, with Geoff’s life celebrated by his family, friends and colleagues. The service was also streamed to a video screen on the Sir B.G. Williams Field in front of a grandstand full of mourners. Celebrant Grant Hobbs conducted proceedings that saw some often hilarious anecdotes told about Geoff, who started at MAGS in 2013 as Director of Rugby. 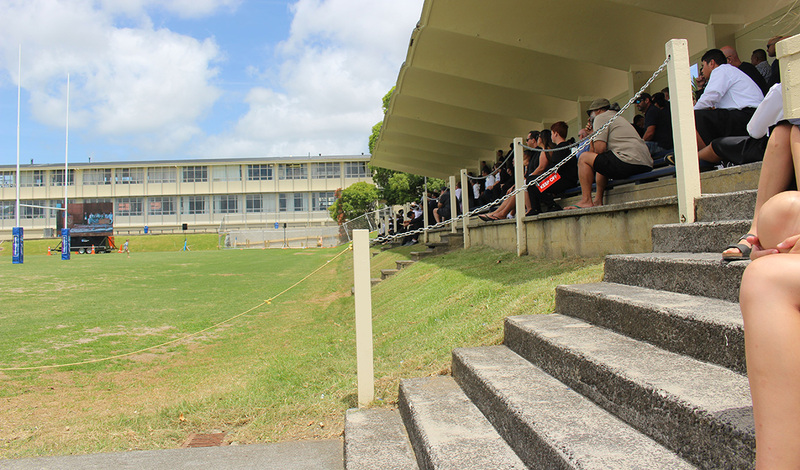 Tributes were paid to Geoff by his brother Keith, Headmaster Patrick Drumm, All Blacks Keven Mealamu and Eroni Clarke, and former colleague at Aorere College Gary Peach. Mr Drumm said Geoff was an outstanding leader and educator with his own way of doing things, a sentiment echoed by others. He was remembered as a man who loved the family he raised after he married high school sweetheart Angela. He was renowned for his high standards but owned a mischievous sense of humour. 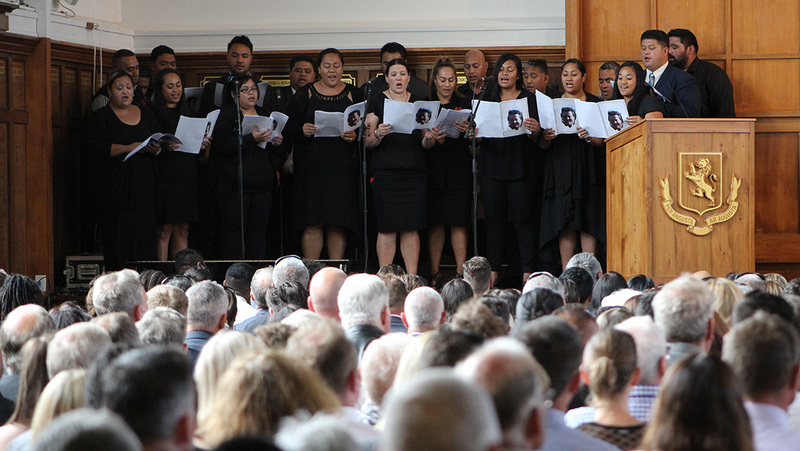 There was a moving performance by the Former Aorere College Choristers before his family members took time to remember him. A video tribute highlighted Geoff’s love of family, rugby and having fun. 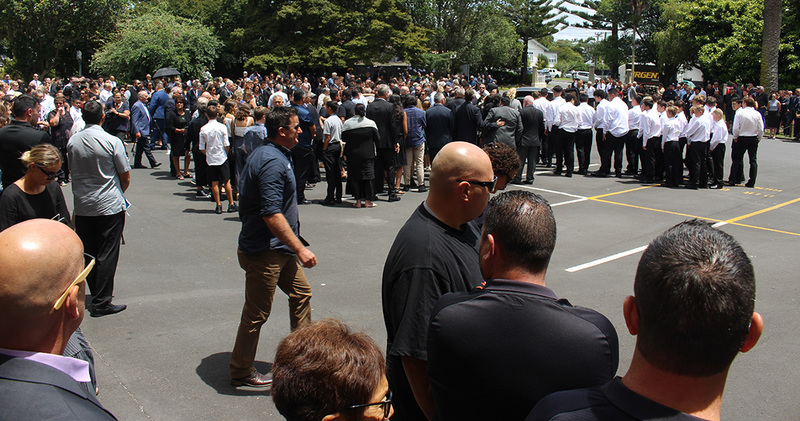 At the conclusion of the service, School House boys performed a passionate haka in honour of Geoff as his casket, draped in a korowai, left the hall. 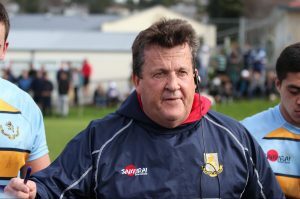 Geoff passed away aged 53 on January 8 after a sudden illness while in Italy during a rugby coaching stint. The school’s prayers and thoughts are with Geoff’s wife Angela, his children Jessica, Sean and Dylan and his extended family.